It is now official that Toyota is leaving the Formula One paddock, with the Japanese car giant announcing the sad news this Wednesday morning. The rumour had been going around for some time now, but only until the Japanese press made unofficial declarations did it become realistic. And as expected the faltering economy is to blame for this decision. 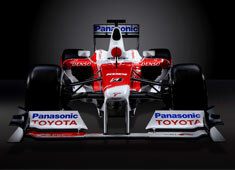 Toyota participated in Formula One since 2002, although nothing significant came about from their huge budgets and efforts aside from three pole positions and 13 podium finishes. "Toyota Motor Corporation (TMC) announces it plans to withdraw from the FIA Formula 1 world championship at the end of the 2009 season. TMC, which had viewed its participation in F1 as contributing to the prosperity of automotive culture, remained dedicated to competing at the pinnacle of motor sports even in the face of the abrupt economic changes that started last year. However, when considering TMC's motorsports actitives next year and beyond from a comprehensive mid-term viewpoint reflecting the current severe economic realities, TMC decided to withdraw from F1. In motorsports, [Toyota] will not only race in various categories, but will also actively contribute to further development of motorsports by supporting grassroots races and planning events in which it is easy for people to participate." Their departure marks the third withdrawal from a manufacture in the span of 12 months, along with the third Japanase corporation after Honda and Bridgestone, the latter ending their tyre supply contract at the end of 2010.